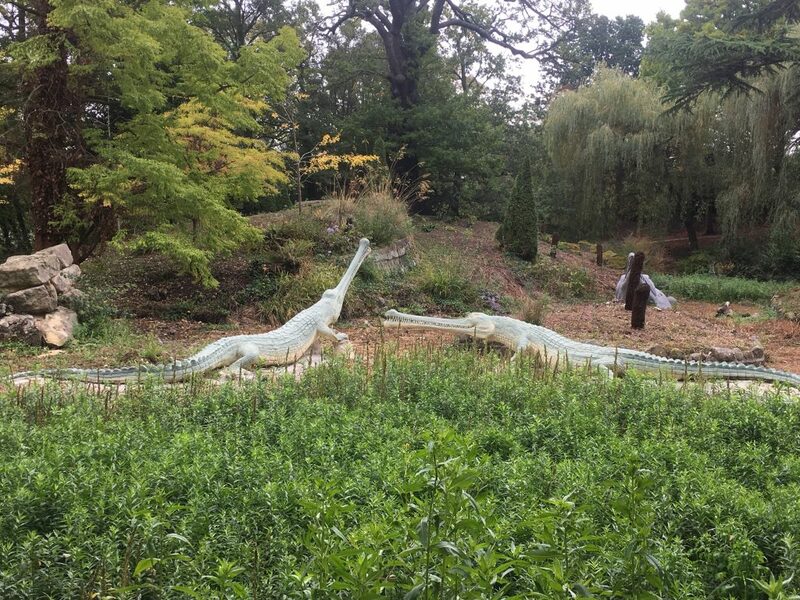 I’m sure many of you are aware of the existence of the Crystal Palace Dinosaurs and some of you may have even been to see them, which is a great day out if you can dodge the rain that London always experiences. I first visited the dinosaurs when I was a young boy about 15 or more years ago when my dad took me to see them. I’ve been a few times since then and whenever they come up in conversation, people always seem to be oblivious to their existence – even those people who I would expect them to be fully aware. I recently visited them again after TetZooCon 2018 and our tour, the amazing Darren Naish informed those of us in attendance of a few things I was previously unaware of. This has got me thinking (among other things) that perhaps we should be more proud of them to than we actually are. In their day they were the equivalent to Concorde and they are still relatively accurate to this day over 150 years later. 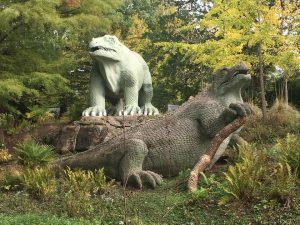 So first a little bit of background and history on the Crystal Palace Dinosaurs (CPD hereafter), they are a series of sculptures of dinosaurs and other extinct animals designed and sculpted by Benjamin Waterhouse Hawkins under the direction of Sir Richard Owen. If you’re not familiar with Owen then I beg you to go and read up on him too – he coined the word dinosaur and founded the Natural History Museum after pressuring the British Museum to move it’s natural history collection to a dedicated site. The CPD were originally commissioned in 1852 to accompany the Crystal Palace after its move from the Great Exhibition in Hyde Park (again read up on this if you’re not familiar with the event as it will blow your mind). They CPDs were unveiled in 1854 as the world’s first dinosaur sculptures that also included elements gleaned from recent scientific discoveries. The area where the dinosaurs now reside is known as Dinosaur Court and they’ve gone through a number of restorations since their unveiling – although more is needed to protect them from the elements. Thankfully they were classed as Grade II listed buildings from 1973 and upgraded to Grade I listed in 2007. Aside from the obvious models of dinosaurs, there are fifteen genera of extinct animals represented from a wide range of geological ages. There are also accurate representations of geological formations such as coal measures, limestone and gravels which can all be found within the UK. The models themselves are split into three eras, the Palaeozoic, Mesozoic and Cenozoic with representations of each. Due to obvious reasons (dinosaurs), the Mesozoic is more well known than the others. The two Dicynodon models are based on incomplete Permian fossils found in South Africa and Owen believed them to be the extinct relatives of turtles and so they are depicted with shells. Unfortunately there is no evidence that Dicynodon had protective shells. There are a number of inaccuracies such as the stance of Iguanadon but at the time, the finds were cutting edge Victorian science. The marine reptiles also of course have some issues with their portrayal but they will be very familiar to those of you who have seen Henry De la Beche’s 1830 ‘Duria Antiquior’ or Farren’s copy. So why should we be proud? These sculptures may be seen as grotesque and inaccurate by some but that is incorrect. Small design elements such as palantine vomerine teeth in Mosasaurus have been recently vindicated by new fossil finds. The reason why these sculptures are more accurate than you’d see on your average TV Show or movie (I’m looking at you Jurassic World) is because artists were working directly with world leading experts and that rarely happens today. It wasn’t 1878 that the discovery of articulated skeletons in a Belgium coal-mine showed the world that Owen’s view of Iguanodon was wrong, through time the sculptures have slowly slipped from the public’s view due to their inaccuracies and lack of novelty. It’s a shame as they truly are something to be proud of, that could tell us so many stories if they could speak. Unfortunately the site seems to attract vandals which have been a constant problem throughout the CPD’s history. 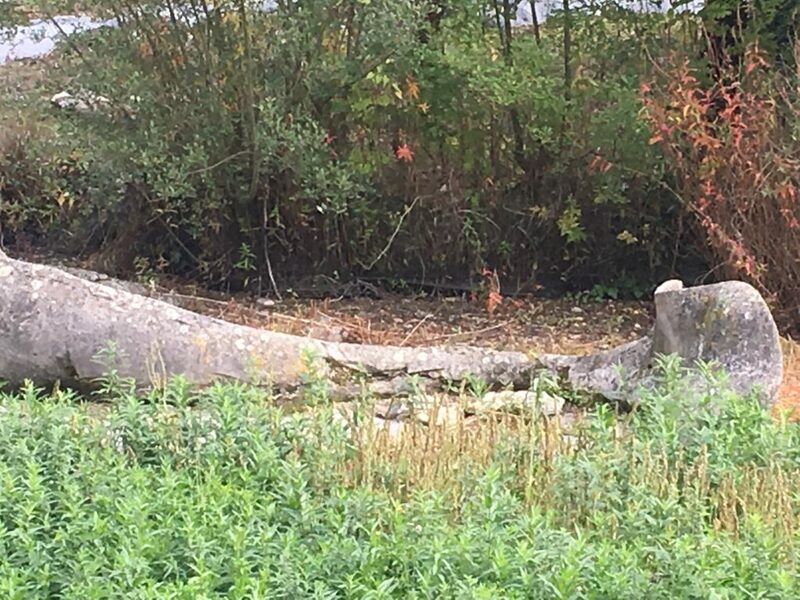 For example the Anoplotherium herd and two Pterodactylus are constant targets and the concrete matrix the sculptures are made from are constantly weathered. Currently the Friends of Crystal Palace Dinosaurs are fundraising to help restore and preserve these iconic Victorian depictions of extinct megafauna, for future generations to enjoy (hopefully as much as I do). If you’ve enjoyed this article then I ask you to just take a quick look at the Friends’ website so that you can educate yourself on the amazing work they do! 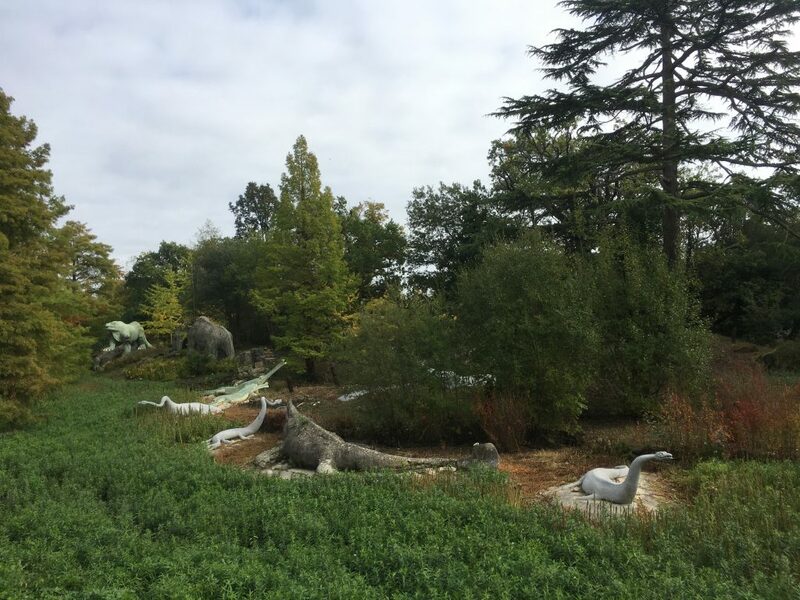 More should be done to save these iconic monuments of both Victorian science and everyone’s favourite group of extinct animals, thankfully the Friends of Crystal Palace Dinosaurs are attempting just that!